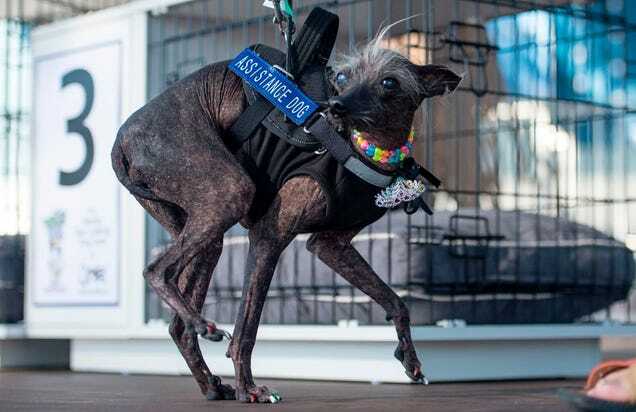 Ladies and gentlemen, I fear that the fix was in at this year’s World’s Ugliest Dog competition. 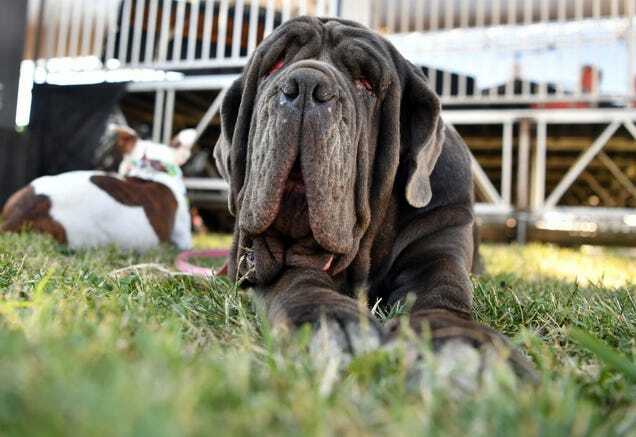 A three-year-old Neopolitan Mastiff named Martha took the $1,500 top prize at the annual celebration of repulsiveness in Petaluma, California. No offense to Martha, but she’s really not that ugly. 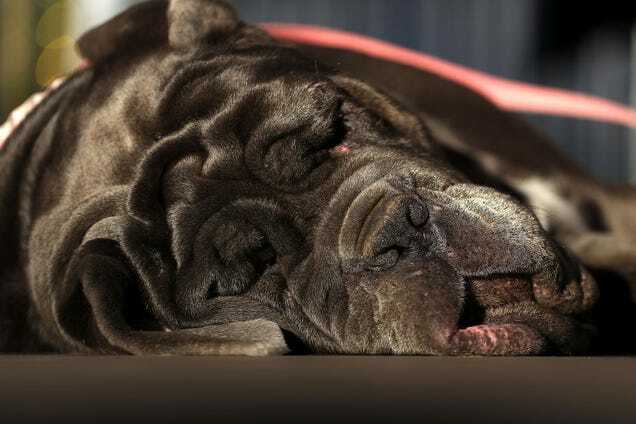 She’s just a big floppy-skinned lazy bones — really not that ugly. 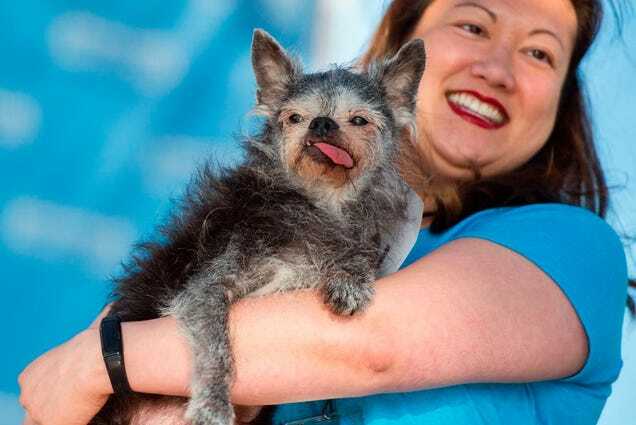 So, let’s correct the record and rank the top five ugliest dogs from least revolting to most hideous. Moe’s not too bad. The tongue is always an issue, and she doesn’t look like she’d feel all that great to pet. Otherwise, not too ugly. It seems like Martha’s degree of ugliness depends on the viewing angle. She’s admittedly got some issues with her eyes, and when she lays down, she turns into a puddle of pancake batter. But as with all the dogs on this list, she’s still pretty cute and way more pettable than the rest. CBS News points out that Martha is very gassy and that might have been an additional factor that the judges took into consideration. Unfortunately for Martha, this is about aesthetics. Petting is a fair consideration because you can see that she’d be good to pet. You can’t see her farts. It’s all Chinese Crested’s for the rest of this list. 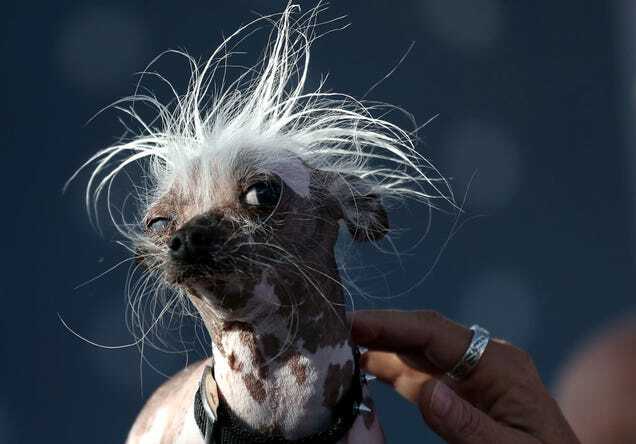 If this were the World’s Ugliest Breed competition, Chinese Crested’s would always win the day. This year didn’t have anything on par with three-time champion Sam. Sam passed away in 2005, but he’d likely still be cleaning up if he was still around. 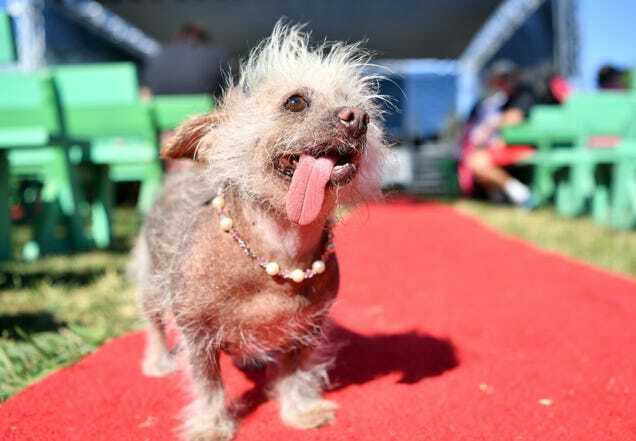 Rascal doesn’t take top honours because there’s still something kind of punk rock about this dog’s style. It could be ugly, but it might just be intentional. Josie’s patchy, wiry hair ensures that the petting experience would be a bit off-putting. She’s got the tongue. But her collar adds a little flair that holds her back from being number one. Chase is an ugly dog, and that collar’s doing him no favours. Chase is the ugliest dog of 2017.